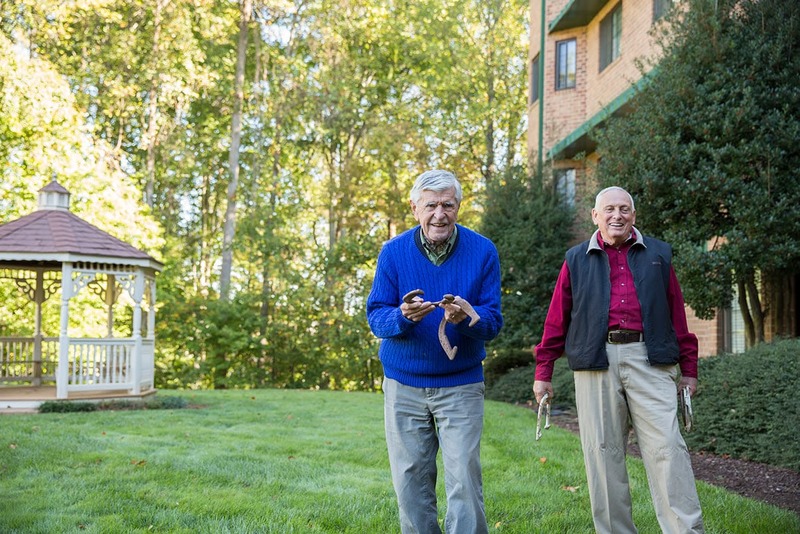 Heritage Greens offers a thoughtfully arranged, relationship-rich campus that includes a full continuum of senior lifestyle options from Independent Living apartment homes to Assisted Living and Memory Care. Pathways meander throughout the campus allowing for leisurely strolls or if you prefer more intense activity you can participate in any variety of classes at our state-of-the-art fitness center. The community feel encourages socializing, making friends, learning and sharing life experiences. Planned social events are frequent as are activities that inspire creativity and spark the imagination. Our full array of services are highlighted by three dining options per day, housekeeping and transportation services. At Heritage Greens, you have the freedom to revel in your independence knowing our supportive team of associates will be available to customize a care program that’s right for you when and if you need it. We’re located near a variety of conveniences. Friendly shopping center, grocery stores, banks, churches, and a library are all close by. We offer transportation and planned excursions.